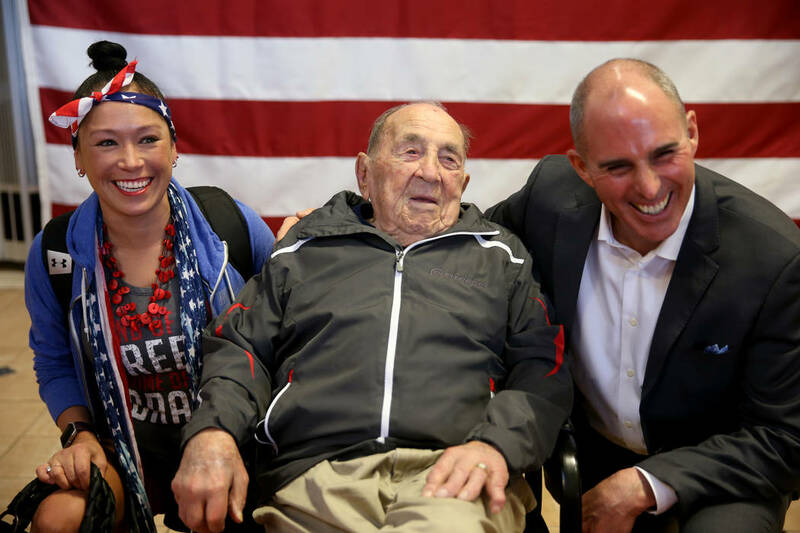 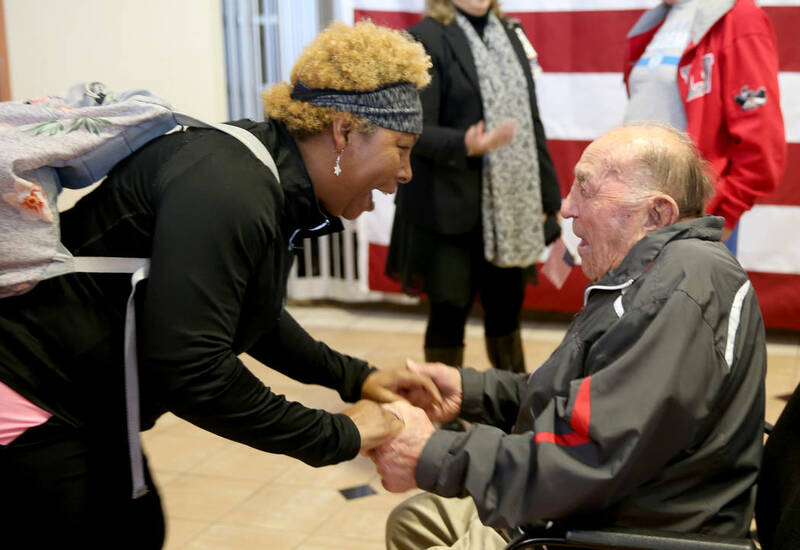 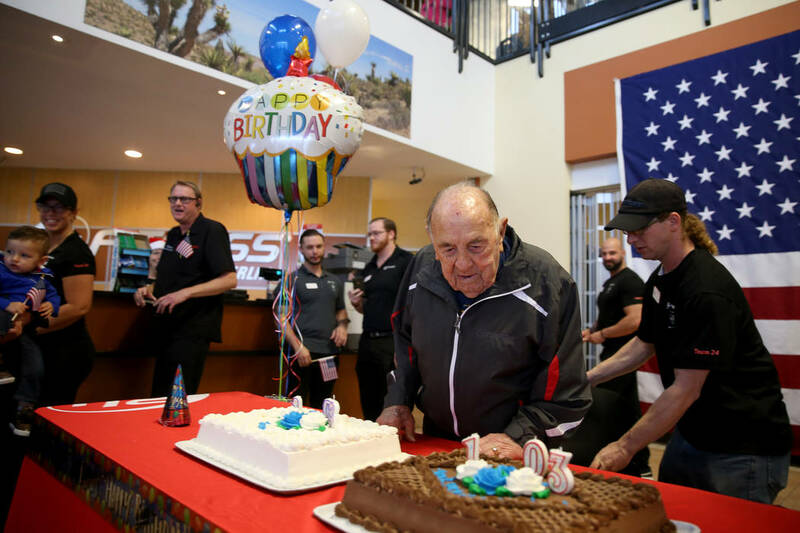 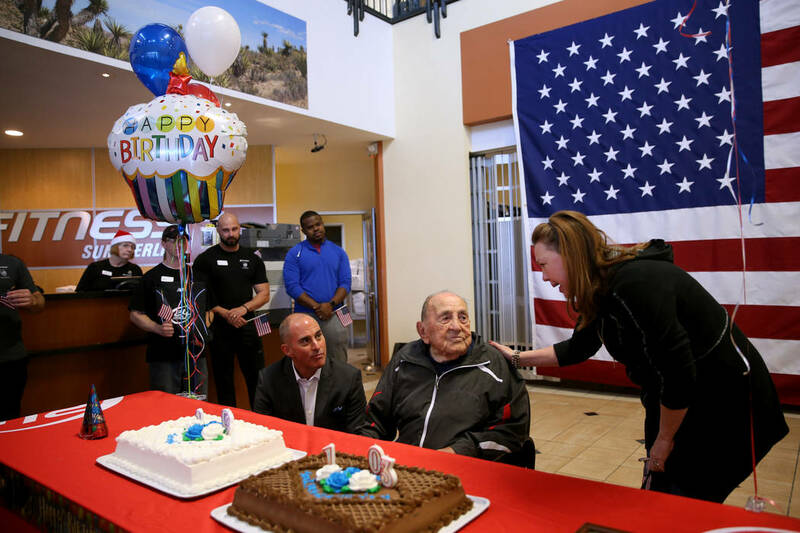 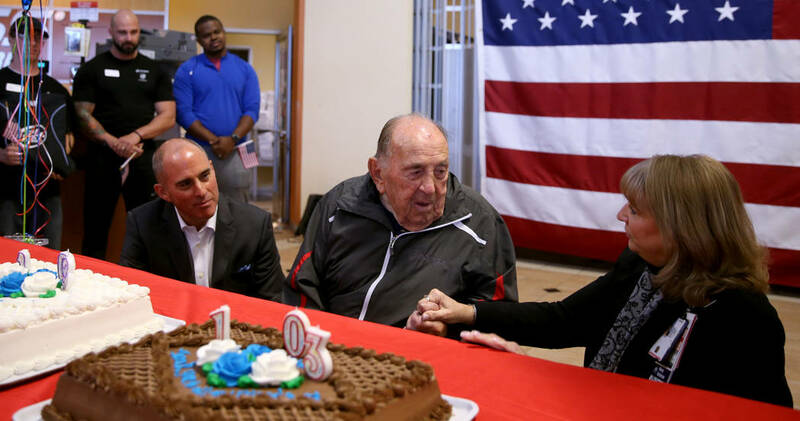 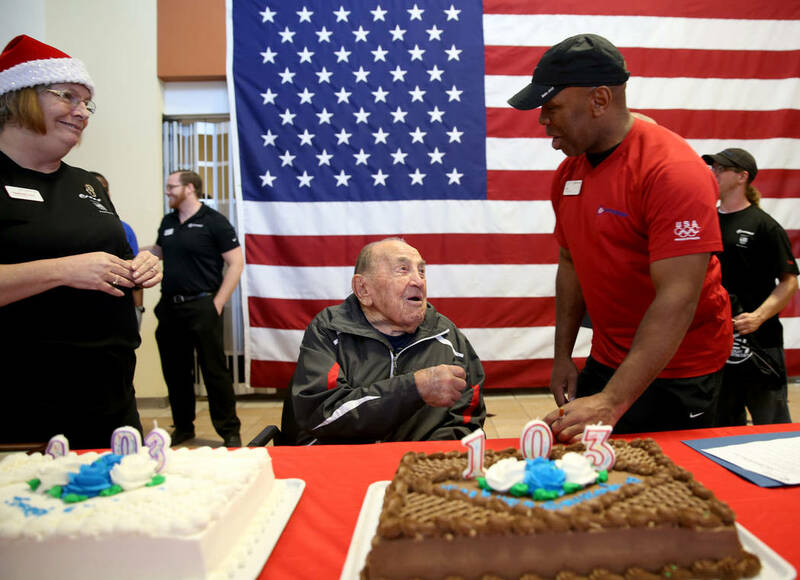 Joe Rosa of Las Vegas celebrated his 103rd birthday at 24 Hour Fitness in Summerlin Friday, Dec. 7, 2018. 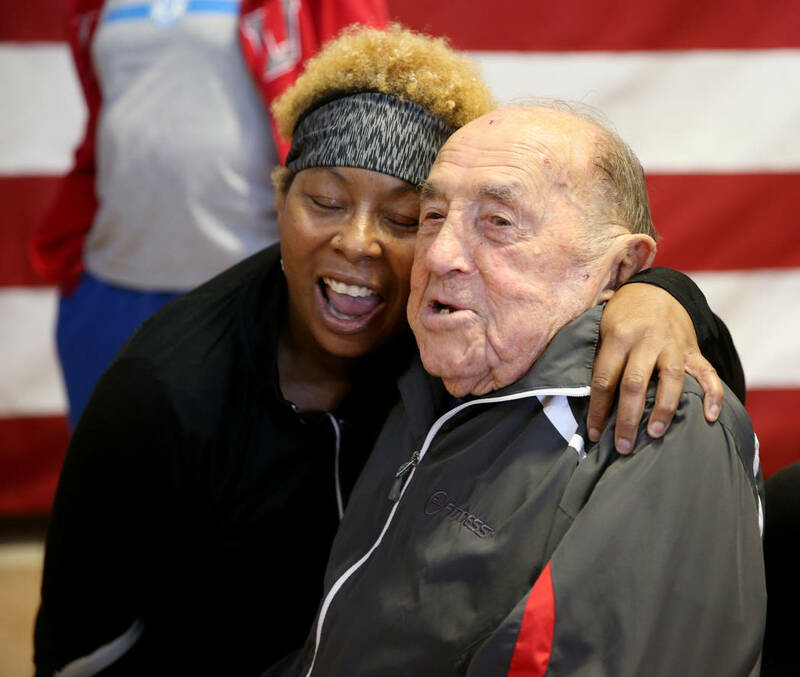 After a hit-and-run crash, Rosa’s medical team told him he would never walk again. 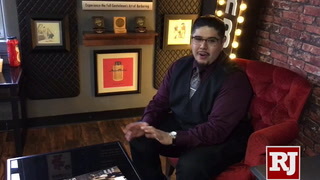 Rosa credits physical therapy and a personal trainer at the club for his return to health. 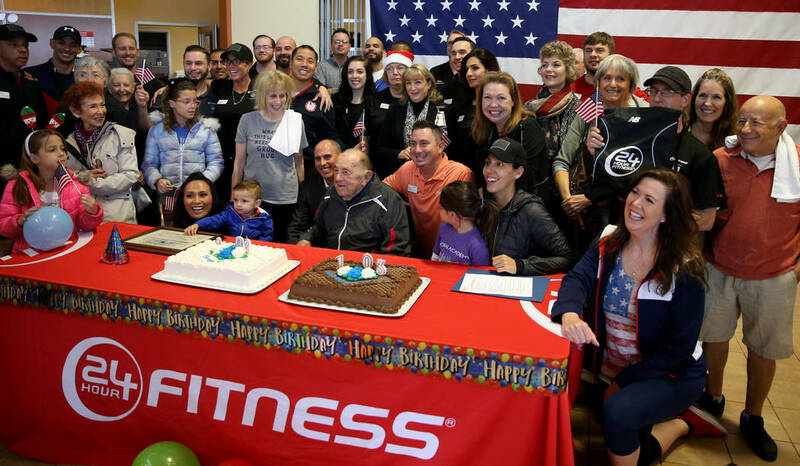 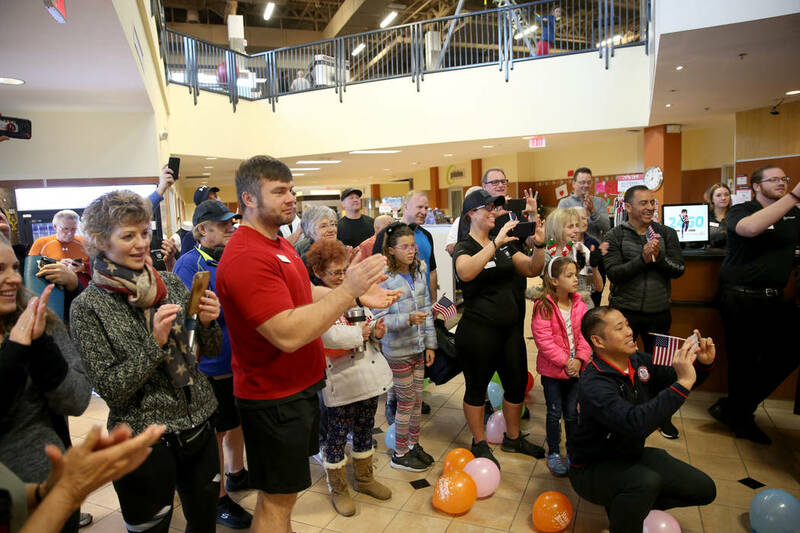 In 2011, when he first visited 24 Hour Fitness in Summerlin, Joe Rosa was confined to a wheelchair after becoming the victim of a hit and run accident. 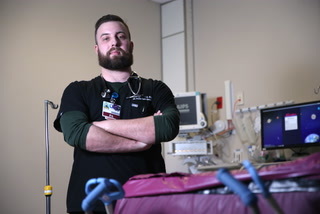 His medical team told him he would never walk again. 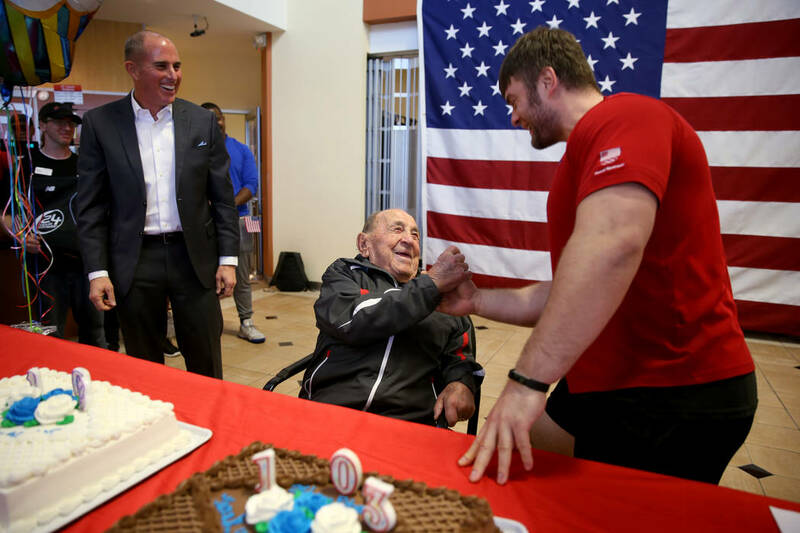 Joe began working with a personal trainer at the club and started therapy. 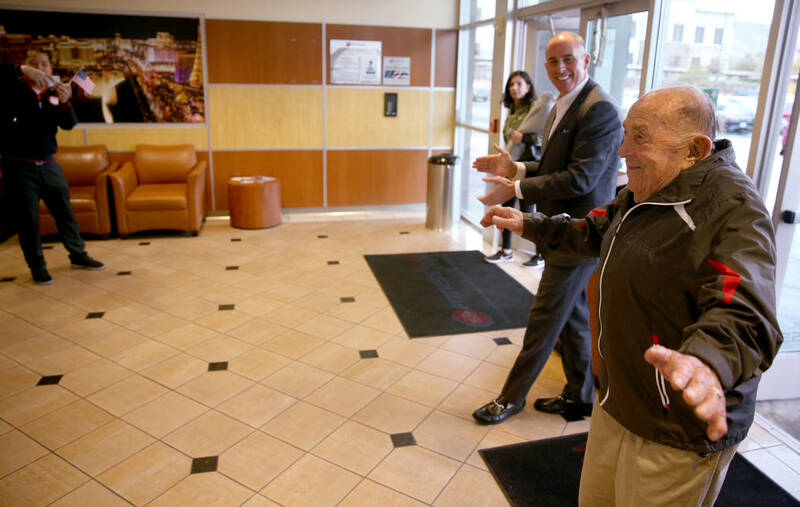 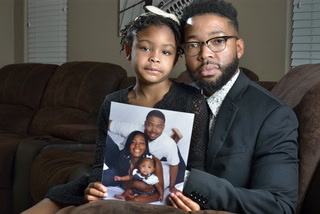 Within three months, he took his first steps in the club without a walker or wheelchair. 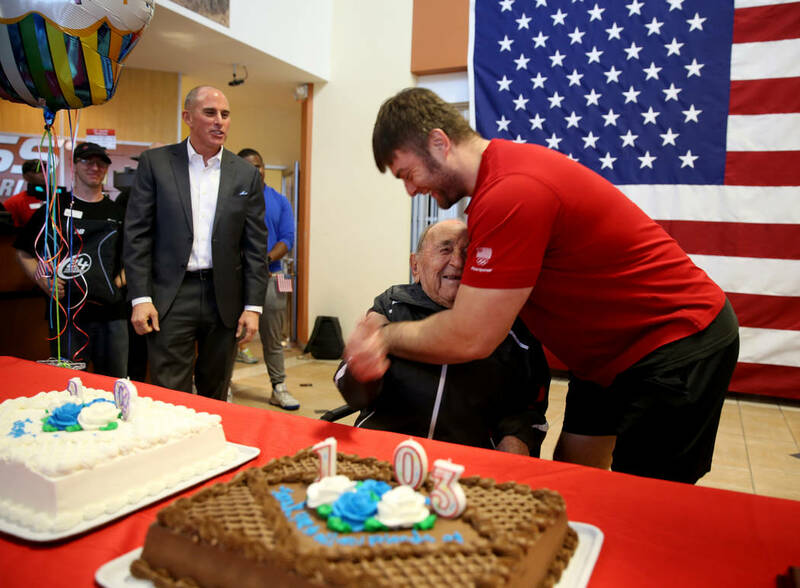 Now, he’s a daily fixture at the club, beginning his day with early morning workouts. 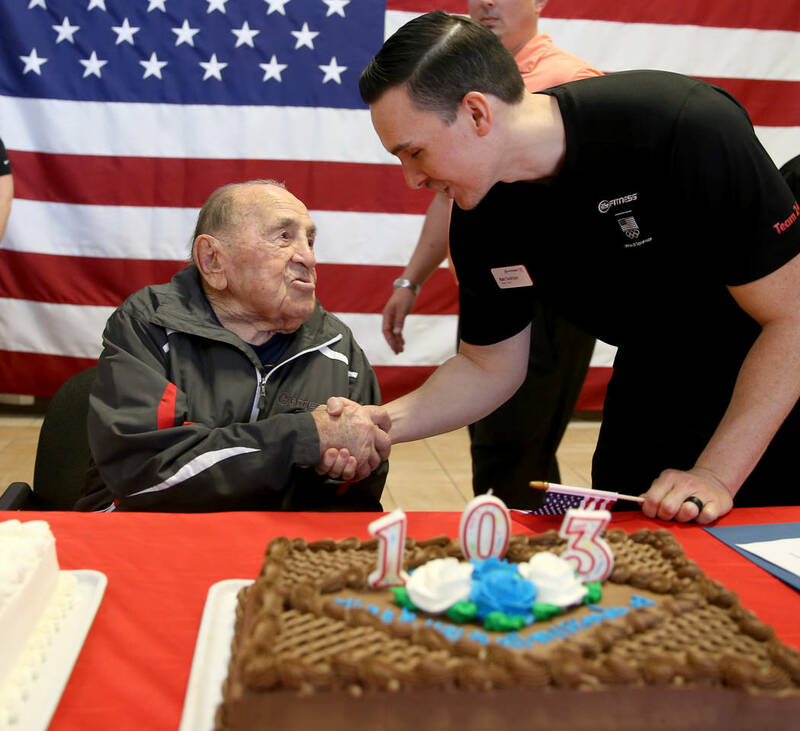 In a slight workout schedule departure, on Friday the club’s entire staff will celebrate Joe’s 103rd birthday with his gym family week in tribute to the fitness team and welcoming environment that helped return his functional fitness.